I know it's still November, but now that Thanksgiving is over I am ready for Christmas! And at $3.99 each, well, that's a great deal. But we weren't thrilled with them as is. The gold and silver made them look a little cheap. So we passed. We put them back and set our sights on Pottery Barn. Well, wouldn't you know, when we walked in the outlet, we saw these very same trees but wrapped in burlap and tied with a twine bow! I don't see these on the Pottery Barn website, and I wish I had snapped a picture but the last time we did that, we got in trouble for doing so. But rest assured, we inspected those little burlap wrapped trees and concluded they were the very same trees. We could even see the gold vases under the burlap. But, at $14.99 a pop, we said no thank you Pottery Barn and went back to Christmas Tree Shops and snatched up three each. 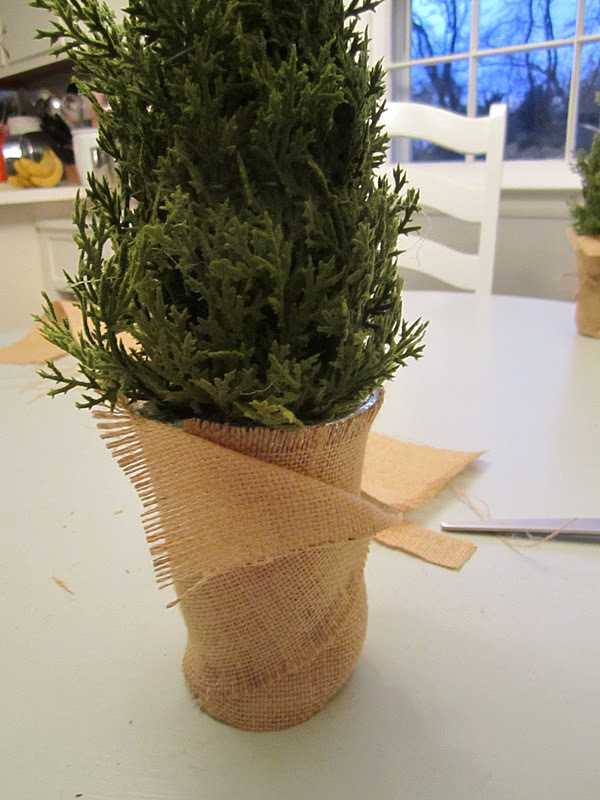 Making the little burlap-wrapped trees is a snap. Jamie and I each bought a yard of burlap at $7.00 a yard. One yard is way too much for this project, but Jamie has plans for her extra and I can always use extra fabric and burlap. I had the twine on hand. And I whipped out my glue gun. First, I just my burlap to size. I just laid my tree down and figured out how much to cut so that the burlap covered all of the vase and a little extra on the top. Then I frayed the edge at the top. I wanted them to look sweet and rustic, not perfect. To do this, just grab one of the fibers and pull. It's as simple as that! 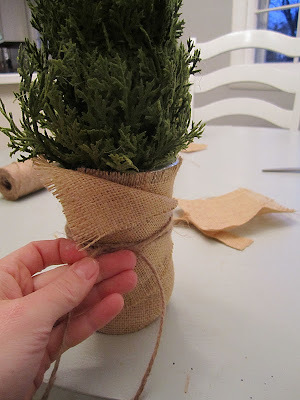 Finally, I wrapped the twine around the vase twice and tied it in a little bow. Super cute and really inexpensive. The three trees were $12 total plus $7 for the burlap (and I have tons and tons of that left over). I probably only used 1/4 of a yard, which works out to $1.75 for a grand total of about $13.75. 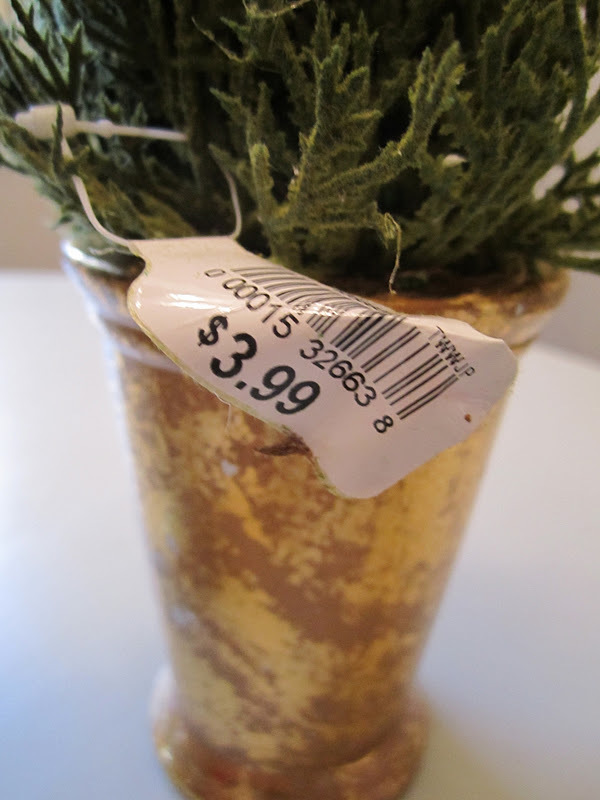 So for less than the cost of one tree at the Pottery Barn price, I got three! Have you copy-catted any Pottery Barn crafts lately? Please share! Tis the season! So cute! Can't wait to see them on display in your house. SO CUTE! I love it. This is the kind of thing that makes me wonder how much profit PB is making on things... it's crazy! Thanks everyone! Maury, yes, totally. It was the exact same tree! And if you caught Jamie's post about the keys the other day, those are the same as the ones Pottery Barn sells (her keys were also from Christmas Tree Shops) ... the mark-up is insane. 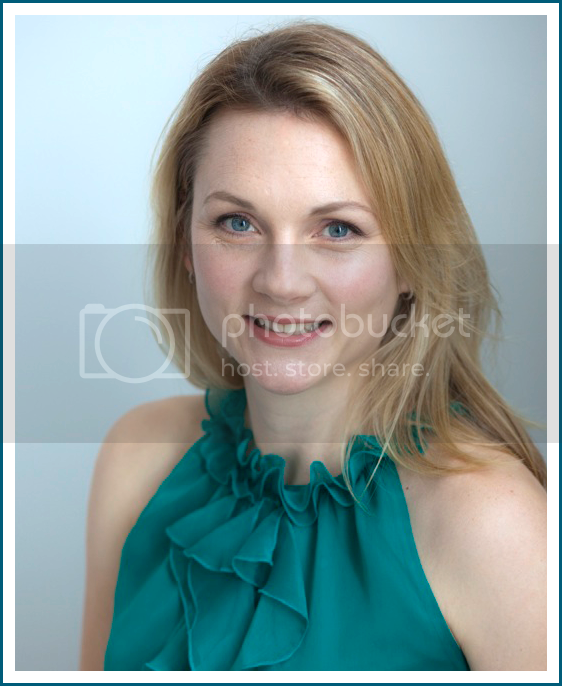 Kirsten, thank you so much!!! SO cute! Looks great with the burlap! Burlap makes everything better, right?!?! Thanks for linking these up!